Sevil Nakisli, a lifelong math lover, is not all that comfortable with writing. But she is really enthusiastic about her discipline and believes in the need to clearly communicate how the study of quantity, structure and space shapes the world. She has done just that, by publishing her paper, “Riemann Sphere and Stereographic Projection” in the College’s sixth annual Journal of Undergraduate Research. The paper, which is dotted with diagrams and formulas, concerns the ways in which a sphere can be used to map precise locations. Nakisli wrote it for her complex analysis class with Associate Professor Jamal Teymouri and found herself wanting to go farther. “I just wanted to take something, do it right and make it my own,” said the student, who worked closely with her professor during editing. “Riemann Sphere and Stereographic Projection” is one of five papers included in the College’s 2015 undergraduate research journal, which was published earlier this spring. And it represents the first offering in the area of math – an important step toward representing a true cross-section of the top academic work at Saint Rose. Launched in 2009, the journal publishes only the top papers submitted. Faculty members from across the disciplines review submissions. And successful student-authors are required to work on revisions with a faculty supervisor and the journal editor – a process that can be just as rigorous as writing the original paper. Ryane Straus, an associate professor of political science department founded the journal as she noticed impressive work in her classes and saw that undergraduates had few venues in which to publish. Since then, the College has developed a robust library of some 44 articles, ranging from commentary on the portrayals of race and gender in film; to a critique of U.S. interests in Cuba and an analysis of the microinvertebates in the Normanskill River. 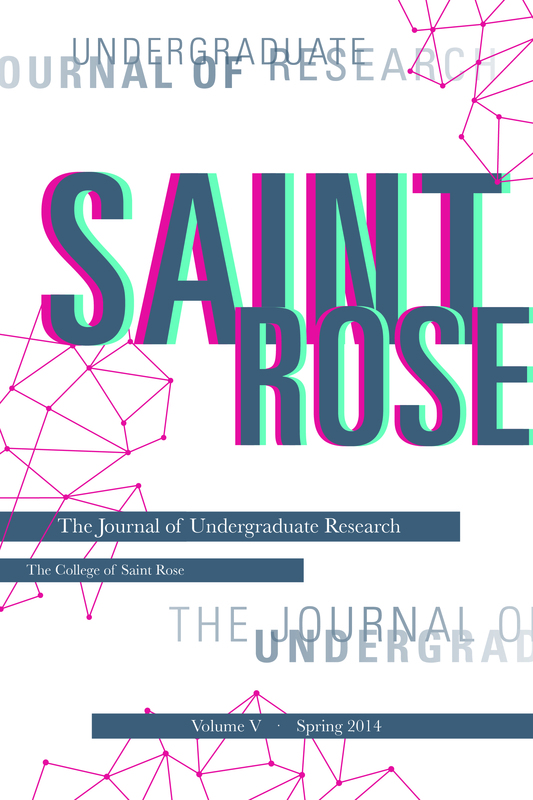 Click here: http://issuu.com/thecollegeofsaintrose/stacks/2f17e472a1e548ff8ee060af72b034fa to read the 2015 Journal of Undergraduate Research. ← Good to know: Saint Rose literacy scholars shine.